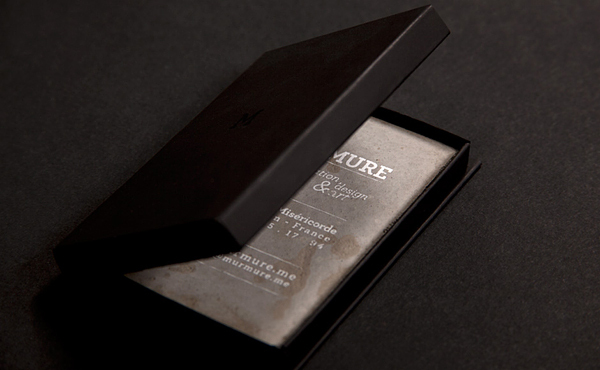 Do you remember our Great List of the Most Creative and Beautiful Business Cards. 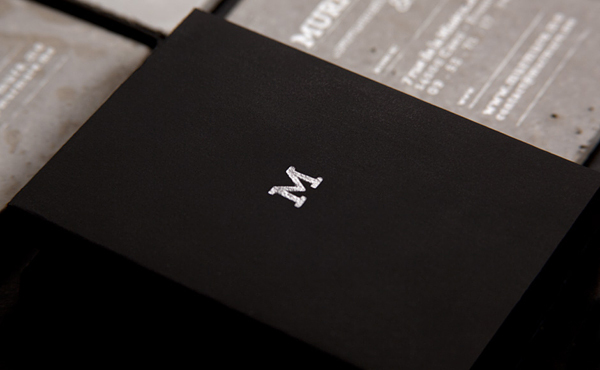 It’s full of creative business cards but even this list doesn’t contain the following example. 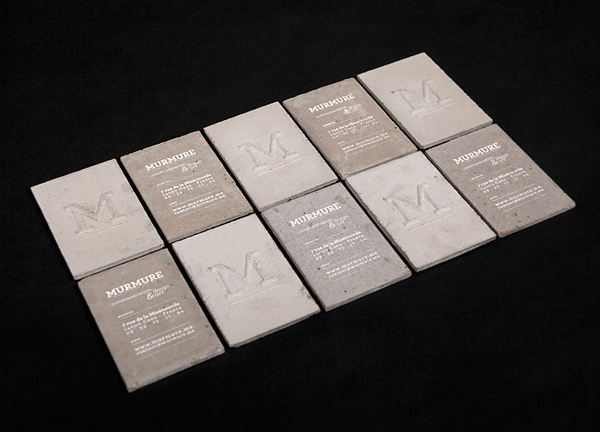 Made of concrete these business cards will not leave you indifferent. 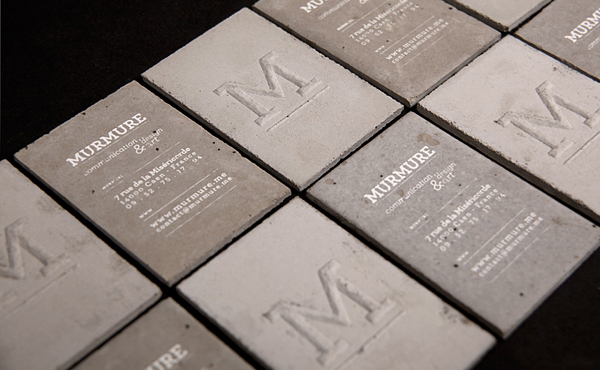 “Playing with the notion of scales, Murmure created a set of business cards made of concrete. 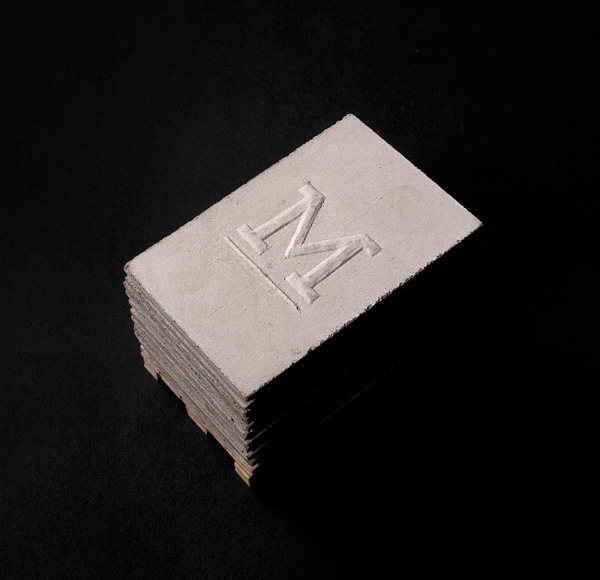 This material, so characteristic of our environment, was enhanced by using the smallest and most refined communication support. 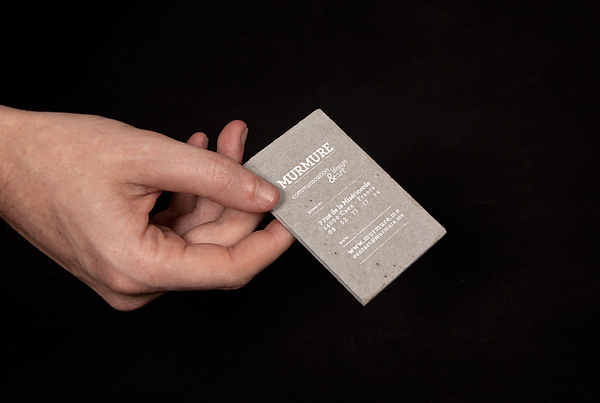 The refinement and the technique required for the typography highlight the harshness and the roughness of the used material.” If you’re not ready to give your potential clients concrete business cards you can always use business card printing services to order paper creative business cards. 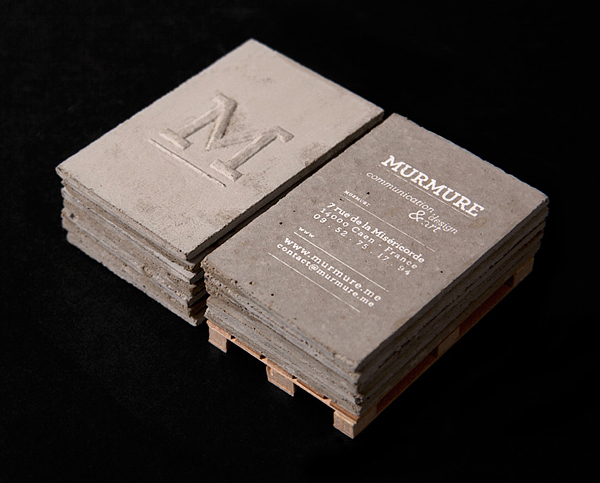 But still take look at these Murmur’s business cards! 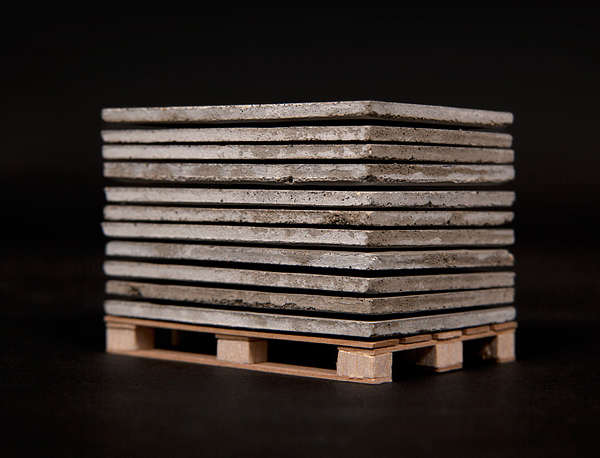 I love the fact that they are stored on a pallet too. Attention to detail is amazing. 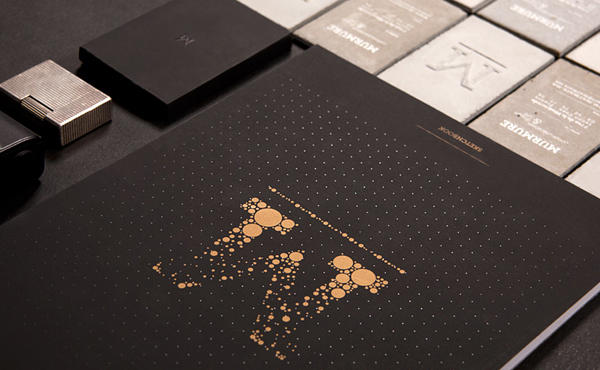 I’m in the search for new business card dgns.. this helps!